My kids are always eyeing junk like Fruit By The Foot and similar snacks. I consider those close to candy, with perhaps a touch of fruit in them, although it’s really hard to tell. I’d far rather make homemade fruit leather for them and control my ingredients. Lucky me, I inherited my grandmother’s dehydrator and a recipe book to go with it. Things like fruit leather are very possible for me. You don’t have to have a dehydrator to make fruit leather, although it does make it easier. Just set your oven to its lowest possible temperature. You can make it work. Preheat oven to its lowest setting or check settings on your dehydrator. Line trays or baking sheets with silpat or parchment paper. Puree fruit with lemon juice thoroughly, adding water if necessary. Check for sweetness and add sugar or honey to taste. Pour onto prepared trays and place in oven or dehydrator. Allow to dry for 6-8 hours or until the center is no longer sticky. Remove from oven and cool to room temperature. Cut into sections. 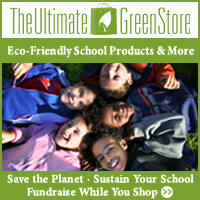 See how fast kids snag fruit leather, then prepare any remains for storage. Roll up extras in pieces of parchment paper and store in an airtight container. These should be good for about a month, if the kids let them last that long. Many recipes call for boiling the fruit for 10-15 minutes first to soften it, and you can do that if you like. With my blender, things turn out just fine without that step. Published by Stephanie, in Recipes. 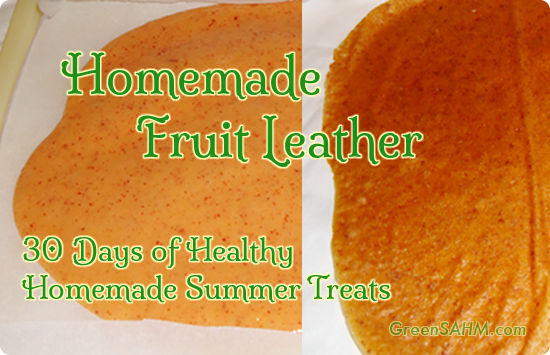 Tagged with 30 days of, fruit, fruit leather, healthy homemade treats, summer.